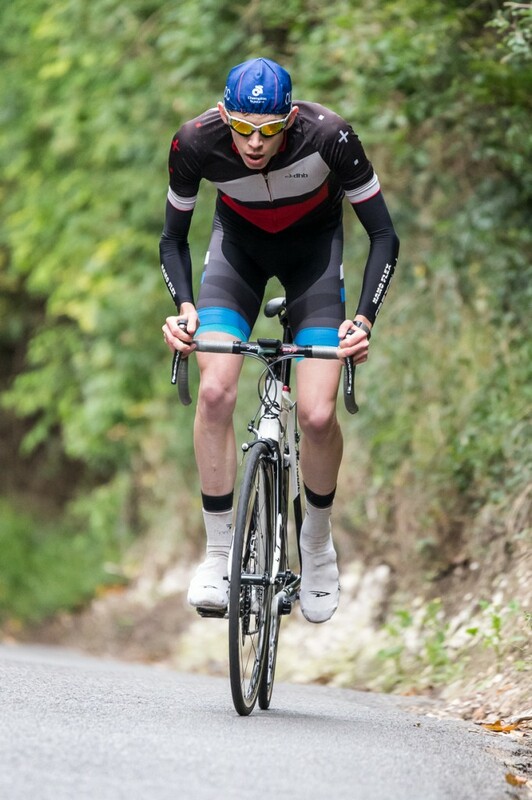 Last Sunday we had Tom Bolton and Angus Fisk head down to Streatley for the second version of the double header hill climb here. On exactly the same course as Didcot Phoenix ran their club HC a few weeks ago, Reading had an Open HC this weekend. With big names like Edmund Bradbury (6th last year National Championships), some fast times were guaranteed. Read about our results here. This was my first Hill Climb event, after missing out a few weeks ago due to illness so I was quite nervous and excited to see what it was all about. Iâ€™d done some hard intervals during the week but still had no idea of the pain to come! It was beautiful spinning out through the fog first thing in the morning, giving me plenty of time to get pumped for the race. Unfortunately as I pulled in to the sign on carpark, disaster struck. The rim on my back wheel cracked and let a spoke out, leaving the wheel unable to turn, completely unrideable. After swearing loudly and trying to figure out what to do, David Ravenhill jumped in and offered to let me use his bike, a very noble gesture! After making 100% sure that it was alright I signed up and got ready for the race. Iâ€™d never ridden either hill before, but had watched people do this course a few weeks ago so had an idea of what to expect. Goring hill I went out full gas, and smashed it out of the saddle all the way up the steep part to start with, loving the lightweight bike I was using. After that it was a matter of just hold on and suffer to the top, trying not to look at the woeful power numbers I was doing on the second half of the climb. I sprinted for what felt like forever for the top of the hill and eventually came past the line in 5.33. 4th by 0.1 of a second.